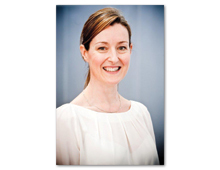 Gwenan White is currently UK director of communications for AbbVie and member of the affiliate leadership team. Together with the general manager she is one of the two UK company directors since the incorporation and launch of AbbVie in 2013, following its separation from Abbott. She is responsible for leadership of the UK communications and patient relations function (a team of 11) which includes corporate communications, corporate responsibility, employee communications, strategic brand communications and patient group advocacy. The team has created strong networks within the local affiliate to provide key strategic counsel and overall leadership on communications within the UK business, identifying and engaging with key stakeholders, including industry trade bodies, top-tier media and patient advocacy groups, on key industry issues. Prior to joining AbbVie in 2012, Gwenan had a highly successful career in GlaxoSmithKline, where her various communications roles covered global commercial strategy, R&D, corporate and pharma products across Europe. In her last role, she was responsible for the directors of product communications across the global pharmaceuticals portfolio. As a corporate media director from 2006 - 2010, she managed significant issues for the company, including animal rights activism, H1N1 pandemic flu, a number of product safety and legal issues, the narrative for company strategy and financial results, as well as company pipeline and regulatory announcements. Joining GSK shortly after its formation through the merger of Glaxo Wellcome and SmithKline Beecham in 2001, Gwenan’s first role at the company involved the development of the global communications strategy for the cardiovascular and urology franchise, during which time she directed the successful launches for Avodart and Levitra.